Get in shape with Ty Today! My name is Ty. I am a Lakewood Ranch Personal Trainer offering personal training all over Sarasota FL. With over 15 years of experience, I have had the opportunity to work with some of the most amazing people ever. My diverse clientele includes seniors to young children, students, blue collar workers, executives, to professional and Olympic athletes. I have worked with people that have been injured, people that have never exercised in their lives, and people of various fitness levels that just needed “something different”. That “difference” I provide comes from years of experience and the ability to relate to what people want and need. I have designed and implemented different sport specific programs for such sports as tennis, golf, boxing, various equestrian sports, and adventure racing to name a few. I have also designed, implemented, and lead various fitness boot camps throughout the state of Florida. I have written health and fitness columns for various periodicals and websites. I have trained people in many environments with a variety of equipment such as weight machines (Nautilus, Cybex), free weights, medicine/exercise balls, Isokinetic equipment (Cybex, Biodex), cords/bands, and calisthenics (no equipment), to using backpacks and sand bags!! I have trained people in gymnasiums, fitness centers, on soccer fields, on the beach, in swimming pools, in their homes, and even in my own garage!! The types of exercises and different routines I can come up with are LIMITLESS!! 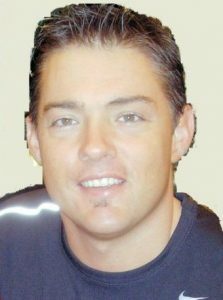 Learn more about Personal Training in Lakewood Ranch FL and the local areas with Ty. Submit your name, e-mail, address, city and any comments/ questions you might have.